Sardinia is one of the Mediterraneans most beautiful islands. 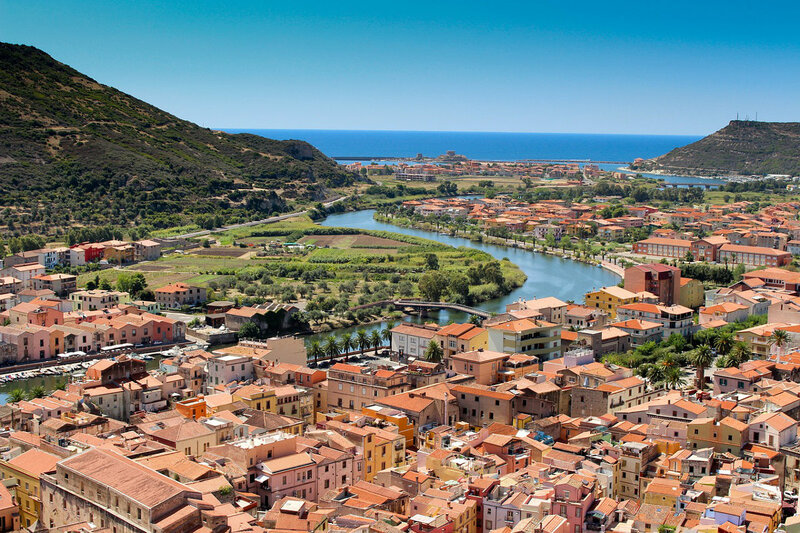 Property in Sardinia still offers some good bargains, especially inland and on the south and east coasts. Here is the perfect place to make your dreams of that Mediterranean lifestyle come true. In fact in Sardinia life is so good that people here live longer than anywhere else in Europe and some say the entire world. Perhaps it is the great food, the wine, olive oil or simply the most sunshine of anywhere in Italy. Who knows what it is but life here in Sardinia is really that "Dolce Vita" that Italy is so famous for. If beaches are your thing then the east coast has the most beautiful beaches in all of Sardinia (click here to view the five very best beaches in Sardinia) . Indeed the beaches and scenery are as good if not better (my opinion) than on the famous Costa Smeralda and some really good deals can be had in the charming little fishing villages and resorts that dot the eastern coastlines. Inland Sardinia is spectacularly beautiful but it is a very desolate kind of beauty. The population is sparse and the little villages are very traditional. It is far from easy for an outsider to integrate here but real bargains are available and once you fall in love with the unique beauty, proud people and spectacularly starry nights of Sardinia's hinterland you'll find leaving difficult. In fact the people here, once they get to know you, are unbelievably friendly and kind. Read this article and you'll know exactly what I mean. North of the Island lies the famous Costa Smeralda. Beautiful and very expensive too; it offers some magnificent luxury holiday homes with prices that are among the highest in Italy. Please contact us if you would like us to help you find that perfect Sardinian property for you.